Rhinestone Buckle Wedding Stationery Bundle, a fabulous collection of matching wedding stationery items kept together in a beautiful satin belly band and featuring a sparkly heart shaped rhinestone buckle. 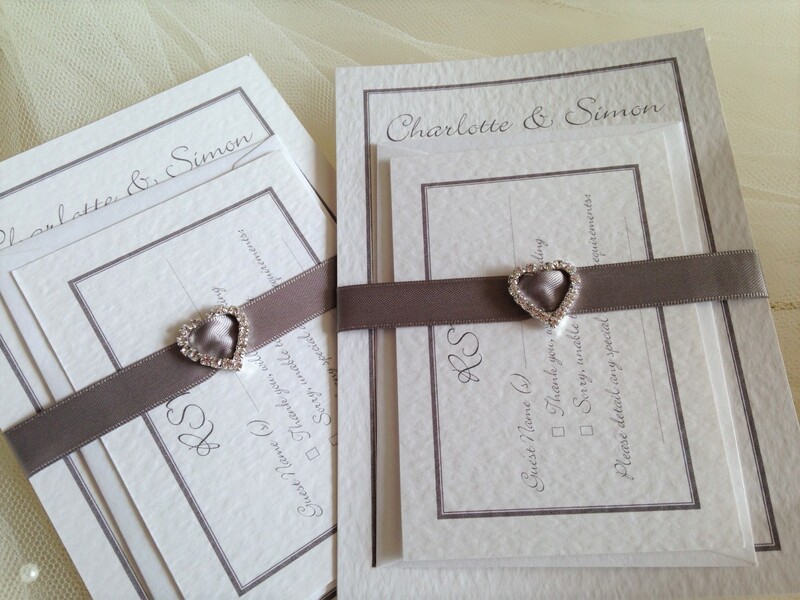 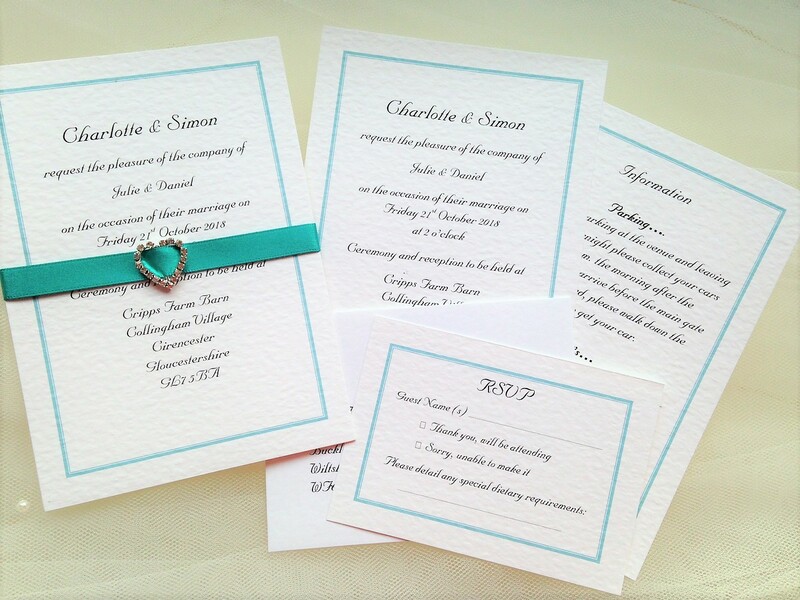 The matching border around the stationery compliments perfectly the satin ribbon belly band and we can supply in any colour to match a wedding theme. 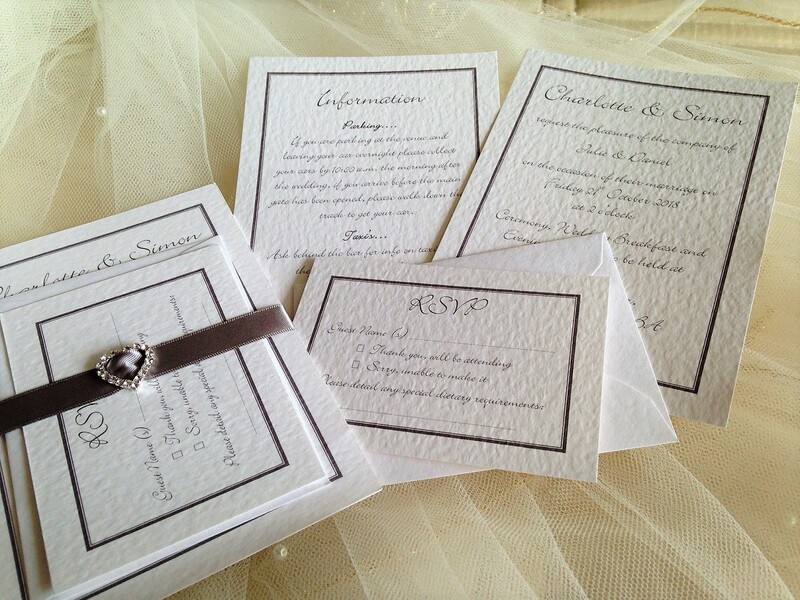 Choose you font style or simply ask for the same one featured in the photographs which is Bickley Script. 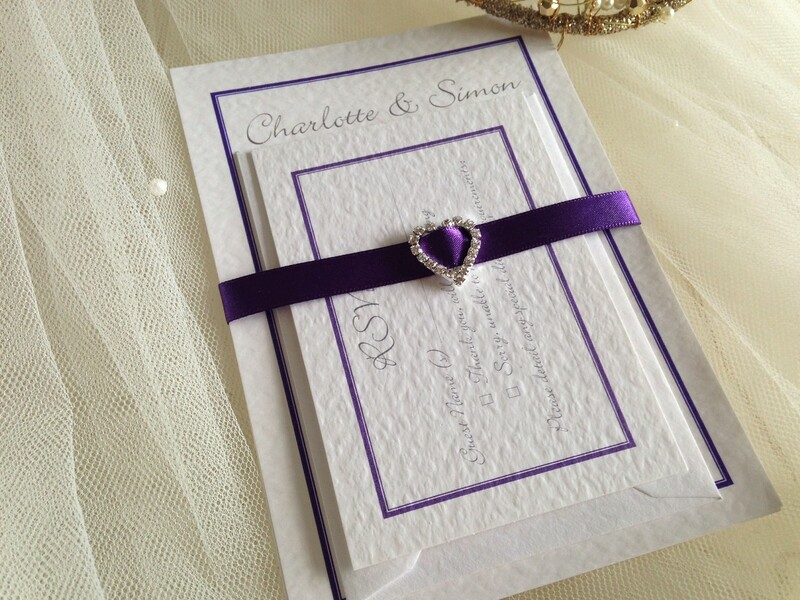 This invitation is available printed on either our ivory or white hammered card (270gsm).